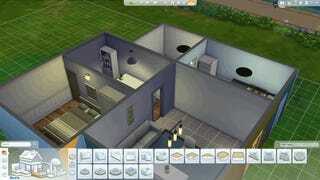 The Sims 4 came out today. We here at Kotaku haven't had enough time with the game to give it a proper review, but I still wanted to pull myself away from obsessively tinkering with my new virtual ant farm to put some thoughts in writing. I've only spent a few hours with The Sims 4 so far, so these are my initial gut reactions to the game. 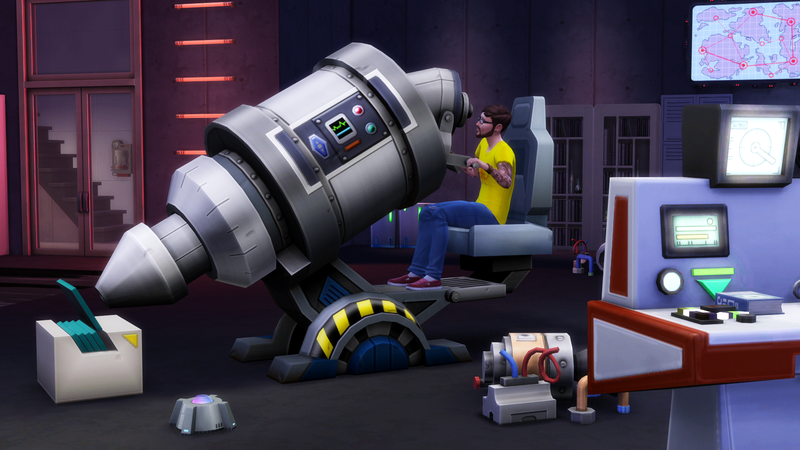 There's been a lot of sound and fury about the ways that EA has changed The Sims for its fourth installment, particularly when it comes to leaving swimming pools and toddlers out of the mix for the time being. I do not have a strong opinion about the potential presence of toddlers and swimming pools in The Sims 4 yet, because I have not truly felt their absence as a player yet. As with any game I'm reviewing, I want to give The Sims 4 a chance to succeed—or fail—on its own terms. Like all of its predecessors, this is a life-simulation game, which means that it moves at a deliberate and unique pace. It takes time to see how relationships develop and communities evolve. Appreciating how the absence of choice elements impacts the overall game will take more time than critics and players have had with the game. I, for one, haven't even gotten to the point where my Sims are thinking about having kids. Heck, I've only successfully made one Sim so far, and he went on his first date late last night. It went pretty well, thanks for asking. The character creation is amazing. It may also drive you insane. Once I saw EA's trailer for the new Sim-creation system, I knew this game was going to be dangerous for me. I was right. The level of control that The Sims 4 gives you to make and edit Sims is so deep, so granular, that I lost myself for well over an hour last night trying to get the facial structure of my first Sim just right. That was after abandoning my original two plans to (first) create a Sim modeled after myself and (second) make one based on a famous celebrity who shall remain nameless. I didn't give up on these other Sims because I wasn't having fun, mind you. I only abandoned them because I realized that perfecting them would've taken me the rest of the evening. That is meant as a compliment. I ended up resolving to start from scratch, with profoundly generic ingredients. I named my Sim "Fred Bob," as if I was trying to will myself to create the most mundane and unassuming guy I could possibly imagine. Even then, though, The Sims 4 lead me down some strange paths. What does normal even mean? I found myself wondering as I held down the left button on my mouse, sliding it back and forth as I watched Mr. Bob's chin expand and contract in turn. Does a normal man have a flat chest? I toggled over to the athletic build in the menu for torsos. Then I highlighted his shoulders and went back to gradually sizing and resizing another part of Fred's anatomy. My dreams for a full-blown normcore version of The Sims 4 disintegrated once I made it to the facial hair menu a half hour later and decided to give Fred Bob a bright pink dollop of scruff. He didn't seem to mind. I'd set his personality to gregarious, after all. The game runs very well...on a great PC. Electronic Arts doesn't have the best reputation when it comes to launching new games, and many expectant Sims fans have remained wary of another SimCity-level disaster as a result. I can only speak for myself, but so far I haven't experienced any major problems. Like, at all. It downloaded and installed fine yesterday. And once I signed in through Origin to access the game, I was good to go. The Sims 4 ran like a dream, and it looked absolutely gorgeous on my PC. The screenshots EA provided on its press page for the game were nearly identical to what I saw unfolding on my computer. Plus, there's no always-online requirement like there was with SimCity, which was the biggest source of that game's problems post-launch. I was playing on a fairly high-end gaming PC I built for myself earlier this month, however. 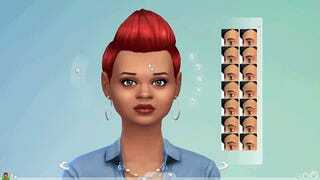 I can easily play The Sims 4 with all of its visual effects cranked to Ultra. This should be good news to any PC gamers out there who've kept their rigs up to date, because the system requirements that EA recently put out aren't particularly demanding. I'm much less sure about how the game runs on PCs closer to the bottom of its recommended or required specs. So if you are one of the many people who's planning to start playing The Sims 4 in the near future, make sure to keep a watchful eye on the game and let us know if you see anything out of the ordinary. The controls could use some fine-tuning. I spent most of my time with The Sims 4 fiddling with different aspects of the game—building and adjusting my house, moving the curve of my Sim's nose ever so slightly upwards and downwards...you know the drill. The one time that fiddling began to feel like a chore was during the game's "build mode," which you step into whenever you're changing the layout of one of your domiciles. Everything ran fine, but getting the right camera angle and selecting the correct piece of furniture was occasionally frustrating. EA has already released one patch for the game, so I'm hoping that they tweak the game's build mode slightly and add in some extra camera angles soon. One big change that EA hasn't been shy about in the lead-up to The Sims 4's release was the sheer range of emotions that will be available to your Sims. They can be happy! And sad! Or angry! Even...dare I say it...uncomfortable. I wasn't sure how this would play out, but it's been intriguing so far. Basically, it feels like any given Sim has a mood ring on that displays their state of mind regardless of what they're doing. So when I was playing the game with Fred, his little icon on the bottom of the game's interface would show a constantly-updating portrait to reflect his mood. This mood had a direct, often overpowering influence on his behavior—whether it was something he was doing on his own or something I was trying to make him do. Whenever he was feeling energized, for instance, he loved taking a trip to the gym to pump some iron. And once he got there, he was easily distracted by trying to chat up other Sims. Other times, he'd fall asleep on the floor despite me imploring him to finish doing the dishes and brush his teeth because his energy was running so low. These emotional states can change almost instantaneously, which has left me feeling like I was trying to maintain some semblance of control over a very unruly and vocal pet. At one point when I was trying to make Fred flirt with a woman, for instance, he seemed to be having a great time until he suddenly became incredibly cranky because he hadn't eaten anything all day. I took him home and gave him dinner. After that, he picked right up and went on a date with that same Sim, staying out in the park until four o'clock in the morning. Four A.M.! No wonder you're so tired at work, I found myself thinking the next day as I watched Fred drag his feet straight from the park to his day as an aspiring chef. At the end of the day, it feels like a new Sims game. It's in those bizarre moments, when I find myself chiding my Sims or cooing over them with concerned affection, that The Sims 4 really starts to come to life. The real value of the game comes from the emotional attachments you form with the characters you create and set loose on the virtual world. It will take more time for players to test the limits for how vindictive they can be, or how weird they can make their Sims. EA could still monetize the game in ways the players deplore or celebrate in turn. But for now, The Sims 4 feels like it's off to a good start. So now that we've got that out of the way, I'm gonna go make sure that Fred Bob hasn't burned anything down.